The thing is...my daughter had a car accident over winter break, and now it is time to get a "new" used one. Propane in WI is over $5 a gallon and yikes that bill was over $1000. So, mama has to get another job. We have an after school program that gets our kiddos another 2 hours of school. Our focus is to design activities that provide them with CORE lessons: reading, writing, math, science, and social studies. I created a three week unit based on KNEX kits we have based on roller coasters. I can't wait until it starts next week. We have an engineer coming to start the unit off, having our kiddos see their potential and know that they can do anything if they put that extra effort into it. I also am working on the next sessions unit...cardboard arcade. Stay tuned. 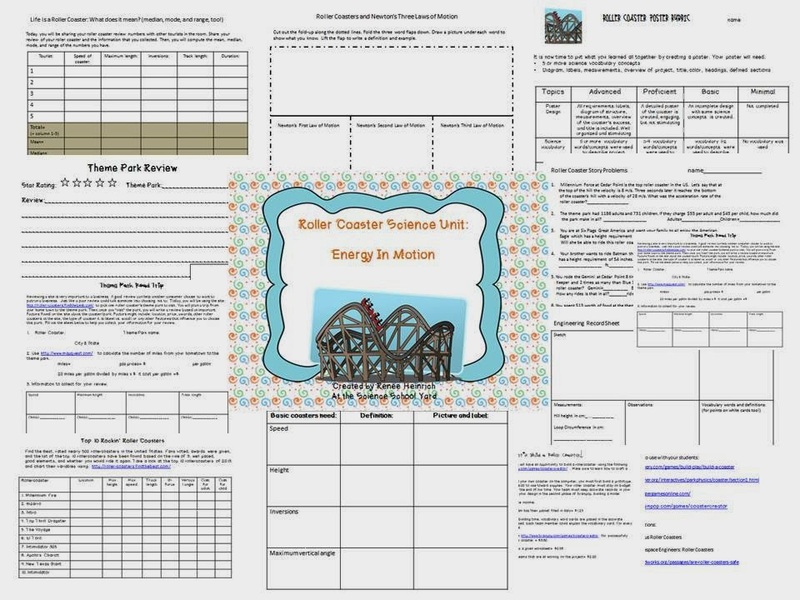 Check out the roller coaster unit on TPT. You can use this great STEM unit for your classroom, too. Keeping it rolling as my son is home today. Great minds think alike, I am working on a roller coaster forces and physics unit for my third graders. We don't have knex though. I am going to have to get creative, I think insulation foam cut in half and marbles aught to do the trick! I am so sorry to hear about your daughter :-( I totally understand about bills too, ugh! I pay about 900 a month in student loans alone! That is why I do after school clubs, coach sports, and work at a nature center on weekends :-) I can't wait to see what this cardboard arcade thing is!